"Rarin' to go!" Keeping up with and parenting your grandchildren. How could you not adore me? She likes when I love her! RRC Families (relatives raising children) Check us out. 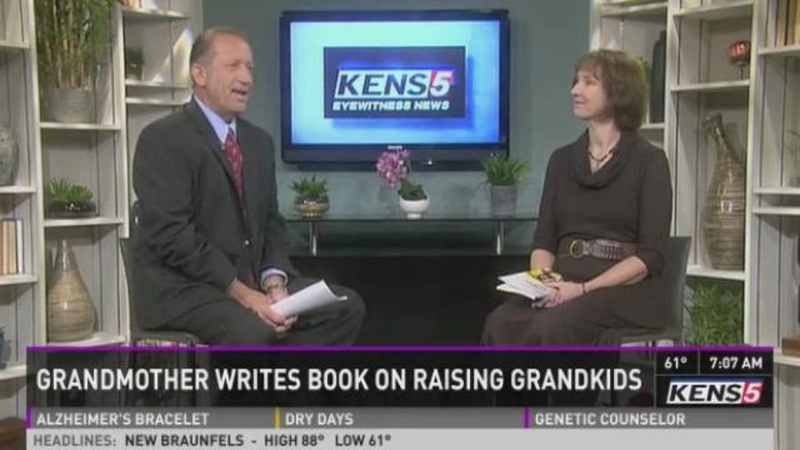 About grandparents raising grandchildren and the need to take care of their own well-being. Please watch and share. There is much information on this website for grandparents raising grandchildren or other relatives parenting someone else's child. You will find personal comments and stories from grandparents themselves. You will find information from the various states and Canada. There is a link above to Karen's personal Blog for grandparents as well as to Karen's Healthy Living Blog. Check out both of them. We have a questionnaire to answer with a place to leave comments. Please take the time to read the information provided in this site. You may find just what you need. You will most definitely find that you are not alone in your quest of raising and parenting grandchildren. And please, return often as we post new information as we receive it. I'm sleepy. I think I'll take a nap right here. When grandparents or other relatives raise and parent children, it is for various reasons. 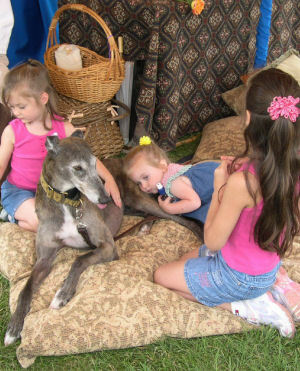 Other relatives raising children are often called Kinship Caregivers. I prefer the term Kinship Parents. When grandparents or other relatives become the full-time parent, it may be because there was the death of a parent or a parent is away in the military; this is happening more than we like right now with devastating effects. It may simply be because a child was having problems with his/her social environment and needed a change, but more often than not, there is a correlation between alcohol and drug abuse and neglect on the part of the parents. The parent/s may be mentally ill, incarcerated, or simply and unfortunately incapable of caring for their children. According to the U.S. 2010 Census, there were more than 2.7 million households with grandparents raising their grandchildren. This is an increase from the 2000 Census. Plus, the figure does not even count other relatives acting as parents such as people raising their brother or sister's children or, even yet, raising their niece or nephew's children. Over sixty percent of grandparents raising their grandchildren are still in the work force. This is also up from 2000, and 16.3% are living below the poverty level. As grandparents or other relative (kinship) parents, we may have had no mental, emotional, or financial preparation when we began raising these children. It can be daunting. Everything, from needing diapers and formula, an appropriate car seat for the toddler, furniture such as cribs or kids bunk beds, to dealing with an ill child with health and medical concerns, may need to be immediately addressed. Some grandparents are dealing with children who have come to them with severe mental health issues, while other grandparents are raising children with physical disabilities needing the use of wheelchairs and medical supplies. Whether the children's medical needs are of a mental health nature or physical disabilities, grandparents can be in desperate need of financial support and medical resources. 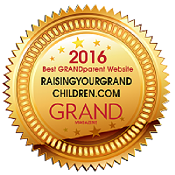 As you browse through our Grandparents Raising Grandchildren website, you will read stories and comments from other grandparents raising grandchildren. Some grandparents are raising the children informally with no legal protection, while others have legally adopted their grandchildren. You will also find information and Internet links to helpful information about parenting, child development, financial assistance that may be available to grandparents and relatives parenting children, information on legal issues, and mental health disorders in children. You will also find information about dealing with stress, and the newest page of our website is about Healthy Living and Wellness. As grandparents age, raising children can sometimes be challenging. Taking care of ourselves, mentally, physically, and spiritually is vital to our over-all health and our ability to live prosperous lives and raise healthy grandchildren. We will cover areas about bringing fitness into the lives of both grandparents as well as grandhcildren. Creative ideas using homemade exercise equipment can bring an element of fun to physical activities that help both the grandparents and children with existing medical conditions or in preventing unnecessary health problems in the first place. Our goal is to provide information to help you achieve your goals. Please feel free to email Karen with any suggestions or questions. We enjoy communicating with other grandparents and receiving your input on our website. I appreciate all of your comments!! ♥ When you are feeling discouraged, what do you do that can make you laugh? Click here to email me your answer. 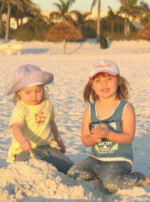 ♥ Please share with me inexpensive activities or trips you have taken with your grandchildren. 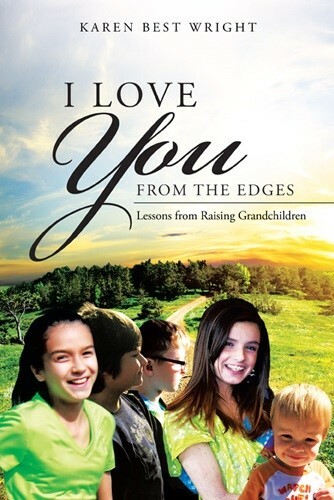 A true love story of raising my young granddaughters for several years, letting them capture my heart, my life, and my soul, and then having to give them back – resulting in a painful, yet spiritual journey of love, healing, and eventual reunion back together again. Listen to a 10 minute interview with Karen on Houston Matters radio.